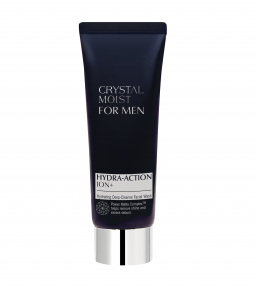 This refreshing face emulsion supplies long-lasting moisture for supple and comfortable skin. HY+3 Aqua-Channeling Factor continues to liberate hydration energy, densely restores moisture to skin with smoothness. Regenerating Mineral Complex provides trace elements and minerals for a healthy complexion. Specially formulated with Power Matte Complex™, it delivers a powerful action to remove shine and excess sebum, helps keep skin fresh with a desired matte effect. Enriched with Black Ginseng extract from Korea and Enantia Chlorantha Bark extract, it helps soothe and refine skin, also promotes antioxidant property. Skin feels quenched, refreshed with youthful-look. Continuous application brings a neat skin effect for your active days. Apply desired amount onto face, massage until fully absorbed, after cleansing in day and night time.